We all love the idea of Valentine’s Day. The thoughtful gifts and the love that surrounds it. Designers in SL like to share in that as well. Bring on the LoveSick Hunt that one of our favorite stores Raindale is participating in. 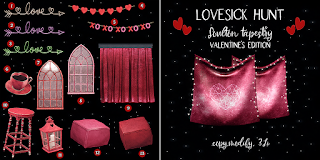 LoveSick is a small HUD based mainstore hunt brought to us by Cutie Collective. You are looking for RED hearts to unlock your HUD prize. 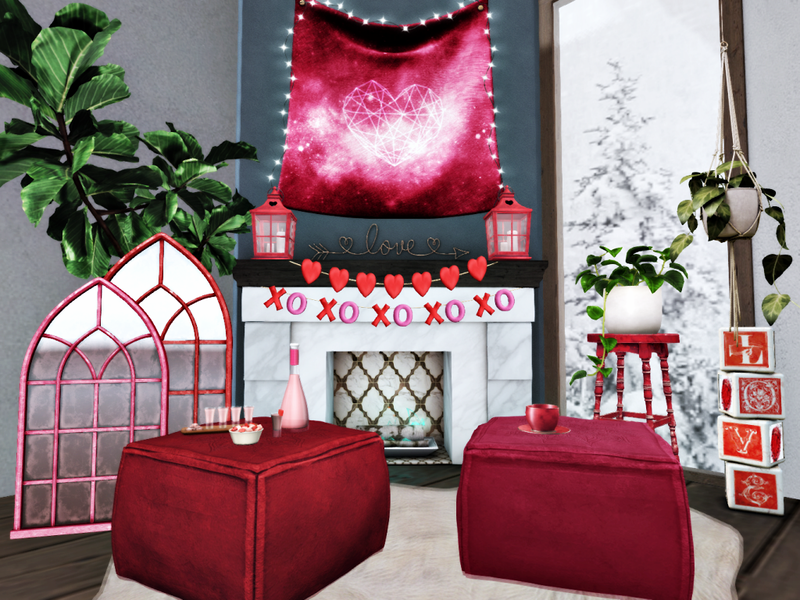 Don’t forget to also look for the PINK hearts to get special prizes at the mainstore. Prices range from 5-25L. There is a a big set of Valentine’s themed items for the hunt – some of these are special editions, others are brand new meshes! You can find how to play on the website here.